Life is Good Honey Gold Four Seasons Crusher Tee Only $13.99! You are here: Home / Great Deals / Life is Good Honey Gold Four Seasons Crusher Tee Only $13.99! Wearing a Life Is Good T-shirt is a good way to set the mood for the day! 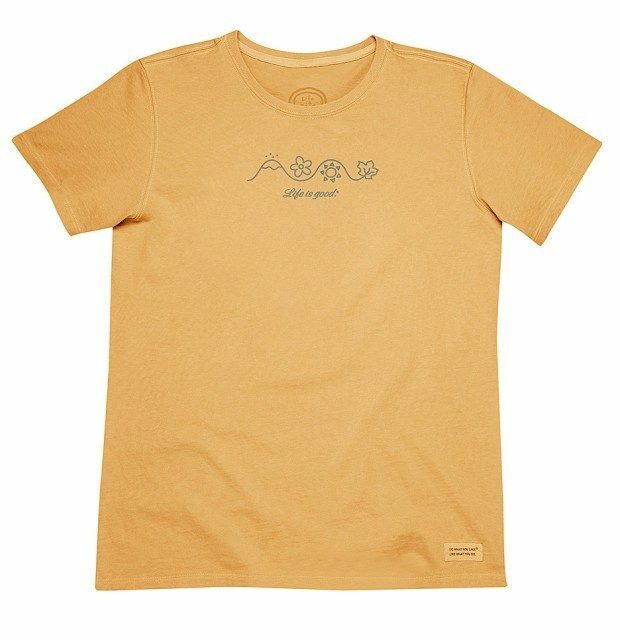 This Life is Good Honey Gold Four Seasons Crusher Tee for Only $13.99 is made to fade with a vintage, weathered look, and built from pre-washed cotton for velvety softness! This tee is built to last.